For visual efficiency, extended-viewing comfort and object detail, traditional spotting scopes can’t compare to these high power military binoculars. Originally developed for airport, perimeter and border patrol applications, they now serve military and law enforcement agencies around the world. M2080 20x80 is rated 5.0 out of 5 by 2. 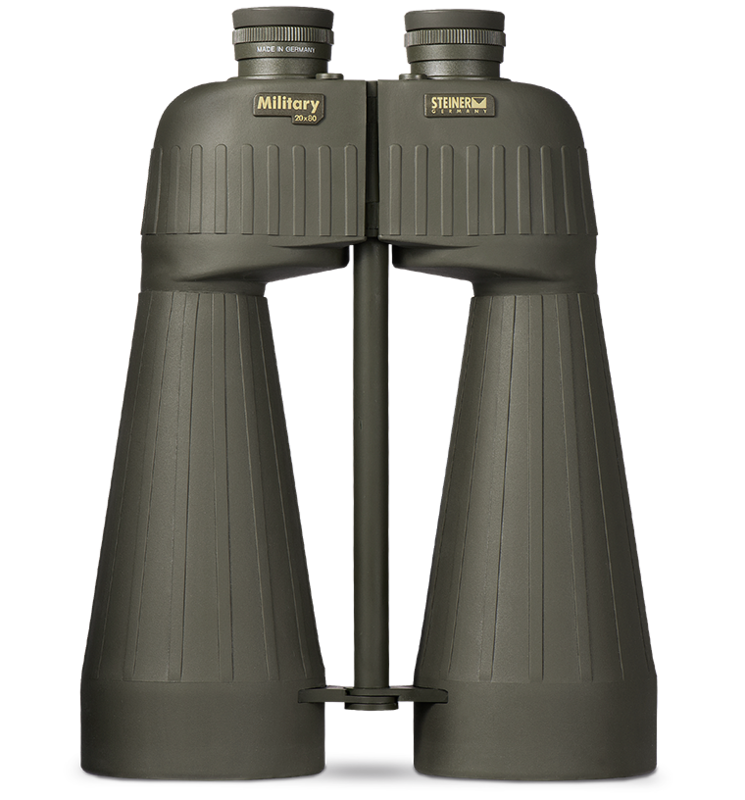 Rated 5 out of 5 by Berne from These 20x80 Steiner binoculars are the strongest, best performance, clearest binoculars that I have used and owned in my Life!!! Rated 5 out of 5 by Kandiru from Clear and focused, rugged. I have been toying with these lightweight monsters for two days around the neighborhood and I am amazed. The field of view is quite big and the distortion and halos absent. I am looking forward to many years of care free use based on this brands notoriety for ruggedness, cops in my town also use Steiners (albeit tiny ones). The 20x80 does not come with the ergoflex eye cups nor are they available. How to attach the 20x80 Binoculars to a tripod? Do I have to buy an additional accessory? There is an accessory piece that came with it. Contact customer support if yours is now missing. How does one focus the M80 20X80 Binoculars? There is a diopter for each eye, but then it'll be in focus from 20yards to infinity, with the sports auto focus system. Do the M2080 have a 195ft. FOV at 1000 yards? Exact same as the M1580? Thought it would be less because of the higher magnification, is that a typo? Hello, The correct answer is 174' for the 20x80s. Thanks for the heads up! Why does the Steiner 20X80 Binoculars no longer say &quot;Military&quot; on the top? It now just says M20X80. Just a branding change for 2018. What is the eye relief? &nbsp;I wear glasses. Where can you purchase the adapter to mount the Steiner M2080 Military Binnocular.